Debra has also written a book for home cheesemakers. “200 Easy Homemade Cheeses recipes-From Cheddar and Brie to Butter and Yogurt” was nominated in 2009 for a World Gourmand Cookbook Award and is available for purchase in the cheese shop, in many book stores, or online. The second edition came out in September 2013. Alongside George and Debra, their adult children continue to work on the farm and in the cheesemaking business. Sauvignon Blanc & La Pyramid - an exquisite, French style goat's milk cheese, ash ripened to a complex lingering flavour. The crispness and minerality of the Sauvignon Blanc will celebrate the complexity of this unique cheese. Sparkling & Lady Jane, similar to a French Chaource, this dense creamy cheese encased in a delicate mould has a meltingly smooth texture that calls for bubbles. Pinot Noir & Alpine Gold - a washed curd and washed rind cheese with a golden orange rind lending a distinct flavour to the soft interior. The earthiness of the Pinot Noir will lend itself well to this smelly straw coloured cheese. Since 1978, the Vancouver International Wine Festival formerly known as the Playhouse Wine Festival has been creating opportunities for British Columbians to meet principles/winemakers and owners of some of the most renowned wineries in the world and 2014 is no exception. Throughout it all the BC wine industry has grown up and is now a major player at the table pouring their wines for the world to taste. 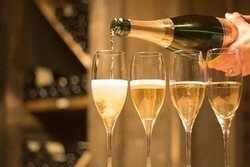 This year the feature country is France and the wine focus is bubbly something we do very well in Canada. 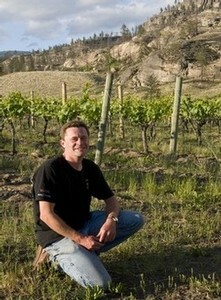 Our winemaker Matt Mavety was featured in a group called vine stars. Sharing the spotlight with Michel Chapoutier, Thomas Perrin and Clovis Tattinger along with Okanagan Falls Winery neighbour Jak Meyer. The Vancouver International Wine Festival is one of the very best wine festivals in the world and runs February 24 - March 2, 2014. Get your tickets if there are any left and enjoy! 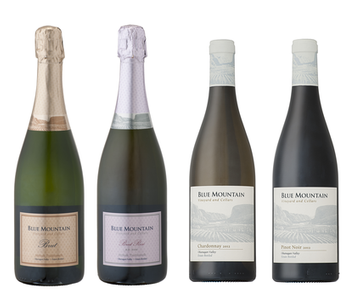 VCC, february 27, 5 p.m.
VCC, March 1, 5 p.m.
Where to Find Blue Mountain Vineyard and Cellar wines in Manitoba. 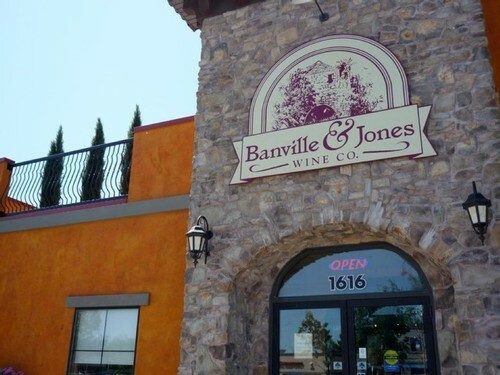 Banville & Jones Wine Co. was founded in 1999 by two sisters, Lia Banville and Tina Jones. Considering their Italian heritage, Lia and Tina were always interested in wine. Their dream of opening a private wine store in Manitoba became a reality when the Manitoba government continued the semi-privatization of the wine industry in 1998. Lia and Tina had a passion for wine and wanted to extend that passion to the consumers of Winnipeg. Banville & Jones started their dream boutique in a 3800 square foot store on Meadowood Drive in Winnipeg. In November 2005 the store had outgrown its roots and moved to its own stand alone, 3 storey, state of the art facility on St. Mary's Road in St. Vital. 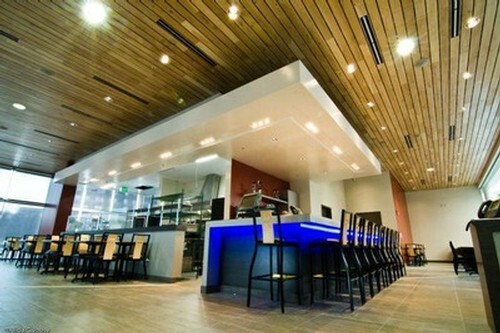 This Tuscan-inspired boutique has all of the best elements of a world class wine store. 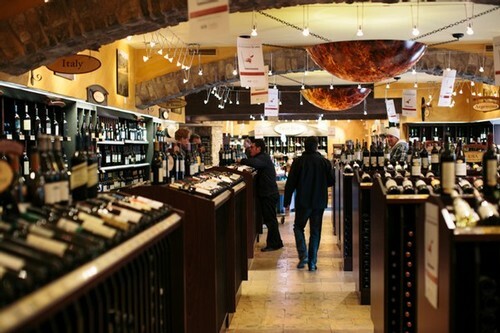 There are more than 3000 sku's of wine, gifts and gourmet items from every corner of the world. The retail floor boasts the most advanced wine retail shelving system with proper UV filtered lighting in every corner of the building. Our Specialties Cave is completely temperature and humidity controlled, perfectly designed for our rarest specialty wines. Gold Medal Plates is the ultimate celebration of Canadian Excellence in cuisine, wine, the arts and athletic achievement. Celebrated in eleven cities across Canada in 2013, Gold Medal Plates features the premier chefs in each city in a competition to crown a gold, silver and bronze medal culinary team in each city, and subsequently nation-wide at the Canadian Culinary Championships. Every year for the last 4 years, Canadian Olympic Atheletes, Chefs and Artists from across Canada have gathered in Kelowna in early February to cook and raise money to support Canadian athelete's dreams of making the podium. This year there is extra excitement as many of our atheletes will be heading to Socchi to chase Olympic gold. For the chefs from each of Canada's provinces it is their chance to shine and bring the best of their region to celebrate with the rest of Canada. For nearly a decade, Chef Kelly Cattani has been honing her craft in some of Winnipeg’s finest kitchens. Today, she is the Chef-de-Cuisine of Diversity Food Services at the University of Winnipeg, overseeing both the on-campus and catering operations. 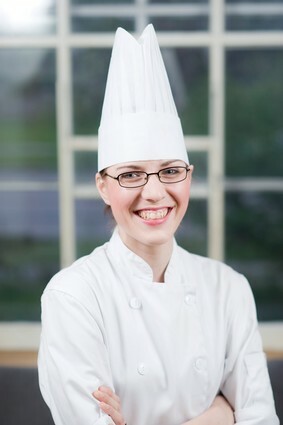 A graduate of Red River College’s School of Hospitality and Culinary Arts, Chef Cattani is a founding member of the Winnipeg chapter of the Canadian Culinary Federation’s Junior Chefs, and was a leading organizer of Manitoba’s Centrex Iron Chef competition. Passionate about authentic, fresh food, prepared creatively and with integrity, Cattani took top honours at this year’s Gold Medal Plates competition and is excited to represent Manitoba at the national event in Kelowna, BC, in February. She will not only be representing her province but will also be pairing her gold medal plate with Blue Mountain's own 2011 Pinot Noir.